Martin Prince is KCL’s Asst. Principal for Global Health (GH). Previously he led KCL’s Health Service and Population Research Department. A psychiatric epidemiologist, he has focused on GH since 2000, conducting impactful descriptive/aetiologic epidemiology, health service and intervention research (348 peer-review publications, 6,000 annual cites, H-index 78). In Global Mental Health he co-edited the 2008 Lancet Series, leading a review of links between mental health (MH) and global health (GH) priorities, and policy/ practice implications (2046 cites). He has pioneered this integrated approach throughout his GH research, e.g. links between maternal MH and child survival/development (Ethiopia, Ghana and India), MH/ cognitive health and linkage to HIV care (India). The Lancet review and series, promoted MH on the GH agenda, and led to the world’s first Centre for Global Mental Health (KCL/LSHTM co-founded with Vikram Patel, 2009). He contributed to WHO’s MHGAP evidence-based guidelines for non-specialist MH care, and leads KCL’s teams in two consortia evaluating task-shifted MH care and implementation of district community MH plans (Ethiopia, South Africa, Uganda, Nepal, India). He has worked on RCTs of dementia carer interventions (Peru, India, Russia), CBT in PHC for somatisation (Sri Lanka), task-shifted care for psychosis (Ethiopia), perinatal depression prevention (India), psychological therapy for antenatal depression (South Africa). Since 1998 he has led the 10/66 Dementia Research Group’s program in 14 LMIC countries, providing evidence for policy/practice on ageing, social protection, and treatment for dementia and other NCDs. He co-chaired the WHOICOPE guideline development group (task-shifted home-based Integrated Care for Older People in LMIC). He has supervised 24 PhD students, 19 in the global health context, and 16 research training fellowships (mainly WT and MRC funded). 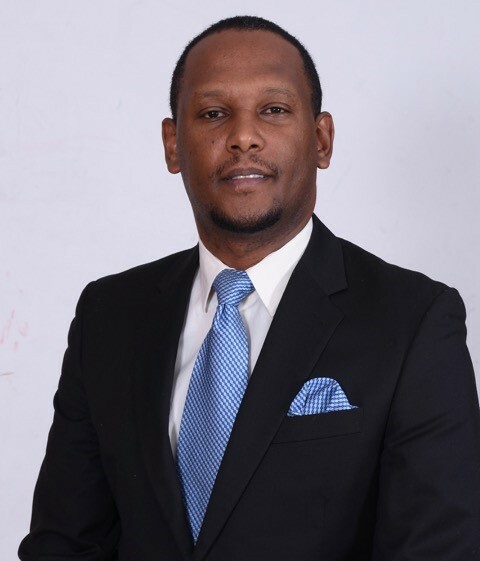 He supports a successful MH PhD program at Addis Ababa University, and is a co-investigator for a WT DELTAS MH research capacity building program in five sub-Saharan African countries. Souci Frissa studied Medicine and gained an MSc in Public Health at Addis Ababa University. She has clinical and public health experience in Ethiopia. She joined KCL in the early 2000s as a PhD student, working on the course and outcome of Major depression in the rural Ethiopia. She subsequently went on to coordinate a large epidemiological cohort study in South East London (SELCoH), and for the last two years she has been the Programme Leader for the MSc in Global Mental Health and MSc in Applied Mental Health Research programmes at the Institute of Psychiatry, Psychology and Neuroscience (IoPPN). She has Public health research interests and the enthusiasm to improve the health service delivery in low income settings. She is now the programme coordinator for NIHR ASSET. Charlotte Hanlon is a psychiatrist who has been living and working in Ethiopia for over 10 years, employed by Addis Ababa University and also linked to King’s College London. Her PhD was based in rural Ethiopia (the study site for ASSET) and was a mixed methods study looking at maternal mental health and impact on the child. As well as an ongoing interest in women’s mental health and contextually appropriate measurement, she has developed research interests in health service interventions and health systems research. She is PI for a health services RCT for people with severe mental disorder in Ethiopia (integrating care into primary care), research director for a cross-country implementation science project to integrate mental health care into primary care (PRIME) and has recently been a co-investigator on the EMERALD health system strengthening consortium and co-lead the capacity-building work package. She is also the co-PI on a WHO field trial to adapt and test parent skills training for children with developmental disorders. She established and co-ordinates a PhD programme in mental health epidemiology at Addis Ababa University which currently has 20 PhD students, strongly supported by colleagues at King’s College London. Ahmed Abdella Mohammed, MD, MSc (PHDC) is an Associate Professor, Obstetrics & Gynecology at Addis Ababa University, Ethiopia. 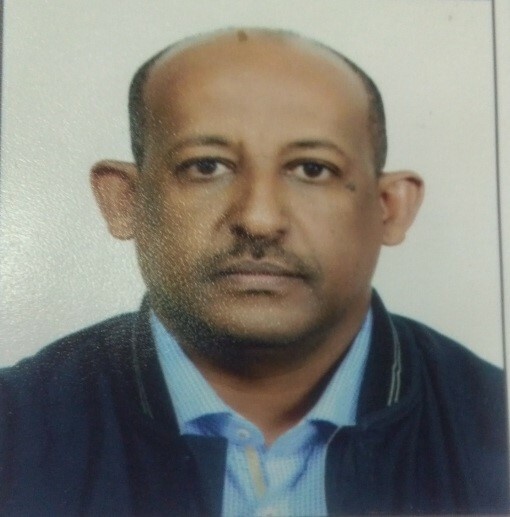 He has worked as an academic staff in obstetrics & gynecology in two Ethiopian universities; 10 years in Jimma University and 17 years in Addis Ababa University. Beside teaching varied health workers, service provision and research, his involvement includes headship of the OBGYN department and participating in various department & faculty level committees. He has also worked with governmental and nongovernmental organizations including the Ministry of Health, Ipass, Ethiopian Society of Obstetrics & Gynecology, and Family Guidance Association of Ethiopia. He was involved in research undertakings on behalf of other organizations. Most of his research undertakings and in-service training include abortion, family planning, and emergency obstetric care. He has participated in the development of reproductive health related clinical & training guidelines/ policies at national and hospital level. Abebe Bekele, (MD, FCS), is a general and thoracic surgeon and associate professor of surgery at Addis Ababa University, School of Medicine in Ethiopia. Dr Abebe is a fellow of the College of Surgeons of East Central and Southern Africa (COSECSA) and chairman of the examinations and credentials committee at the college. Dr. Bekele is a former fellow of the Foundation for Advancement of International Medical Education and Research (FAIMER) and the University of Seattle. He received the international scholar award from the American College of Surgeons in 2015 and a young researcher award from the Society of Vascular surgeons, USA in 2009. Dr. Bekele has served as CEO of the Black Lion Hospital and dean of the school of medicine of Addis Ababa University for the past three years until March 2016. Dr. Bekele has served as a senior advisor to the Ethiopian Ministry of Health especially in the Saving Lives Through Safe Surgery (SaLTS) Programme. Solomon Shiferaw is an Associate Professor at the Addis Ababa University in the School of Public Health, Department of Reproductive Health and Health Service Management. His research background includes, reproductive health/family planning, and potential use of mobile phone based applications to improve maternity service utilization and inventory management of contraceptives at health facilities. Helen Yifter is an assistant professor of medicine working at Addis Ababa University, College health sciences as an Internist and Endocrinologist since 2011. Dr Helen attended Medical School at Gondar College of Health Sciences and Graduated with the honor of Best Medical student of the year in 2002. She did postgraduate study in Internal Medicine and Fellowship in Endocrinology and Metabolism at Addis Ababa University and graduated in 2008 and 2014 respectively. On August 2017, Dr Helen started working as a director for Academic affairs of the College of Health Sciences of Addis Ababa University. She also completed the International Interprofessional wound care course in 2014, and is the lead person in the establishment of foot care services at the diabetes center at Tikur Anbessa Hospital with the support of University of Toronto. Dr. Helen was selected as an Ambassdor of the Endocrine society's ambassador exchange program in 2013.She is in the second year of a two year research training for young faculty by the Medical Education Partnership Initiative (MEPI) scholars program. Desalegn Tegabu is Director of the Policy and Planning Directorate at the Federal Ministry of Health, Ethiopia. In 2015-2016 He also served as Clinical Servcies Directorate Director at the same Ministry. He was Chief Executive Officer of the University of Gondar Hospital and an associate professor in the Institute of Public Health, College of Medicine and Health Sciences, University Gondar (Ethiopia)2012-2015. He graduated in Medicine at University of Gondar and did Masters in Public health (health Information Systems) at the University of Western Cape (South Africa) and another master in Bioethics at a consortium of three European Universities namely Catholic University of Leuven (Belgium), Radboud University (Netherlands) and Padova University (Italy). Andualem Denekeis a consultant urologist at Department of Surgery, College of Health Sciences, Addis Ababa University. He did his study at the same university and Christian Medical College in India. He has written about eleven papers on Urology, General Surgery, Surgical Education and Global surgery. Currently he is engaged in clinical urology practice and teaching of undergraduate and post graduate students in Urology. His area of interest is urology oncology. He is also involved in Global Surgery in training, supervision, mentoring, monitoring and evaluation. Dr Wurie is a multi-disciplinary health researcher working for the College of Medicine and Allied Health Sciences, University of Sierra Leone as a lecturer and researcher. She is the Research Coordinator and Research Uptake Officer for the ReBUILD Research Consortium in Sierra Leone, and has been centrally involved in ensuring that the programme’s research and engagement activities have informed policy and practice in support of a resilient and responsive health system. Dr Wurie is also the Principal Investigator/Research Manager on the RECAP (Research Capacity)-Sierra Leone project, which focuses on institutional capacity development for multi-disciplinary health research to support the health system rebuilding phase in Sierra Leone. This includes developing a research centre at COMAHS and supporting the next generation of researchers to become leaders in multidisciplinary health research in the country. Fenella Beynon is based in Freetown as the Research Lead for the King’s Sierra Leone Partnership. She has been working with the University of Sierra Leone Teaching Hospital Complex – Connaught Hospital, 34 Military Hospital and COMAHS since early 2016 on building clinical research capacity in collaboration with colleagues at KCL and KSLP. Prior to this, she completed core medical training in London, an MSc in Clinical Research at the Barcelona Institute of Global Health and worked as a research assistant in Mexico’s National Institute of Public Health. Dan Youkee is the Country Director for the King's Sierra Leone Partnership, a clinical academic partnership focusing on improving health outcomes in Sierra Leone. The partnership drives embedded research and supports research capacity building at Connaught Hospital, the country's tertiary referral hospital, and at the College of Medicine and Allied Health Sciences, Sierra Leone's only medical school. Isaac Olufemi Smalle completed his medical education from the College of Medicine and Allied Health Sciences University of Sierra Leone, He proceeded to the University College Hospital, Ibadan, Nigeria where he did his residency training in General Surgery. He is currently a Senior Registrar in the division of Oncological Surgery Connaught Hospital where he holds regular clinics for Breast and Colorectal cancer patients. He is an Associate Lecturer in Clinical Anatomy and Surgery at the College of Medicine and Allied Health Sciences, University of Sierra Leone. He is currently the Coordinator of the National Surgical Forum, Ministry of Health and Sanitation, Sierra Leone. His research interest are in Surgical Oncology (Breast and Colorectal cancer) and Surgery as a component of Health System development. Dixon Chibanda is an associate professor in psychiatry attached to the Research Support Centre in Harare, Zimbabwe. He is director of the African Mental Health Research Initiative funded by the Wellcome Trust and the African Academy of Sciences. He is principle investigator on several research projects including the Friendship Bench which explore the use of task-shifting to narrow the treatment gap for mental, neurological and substance use disorders in low resource settings. Crick Lund, BA (Hons), MA, MSocSci (Clinical Psychology), PhD, is Professor of Global Mental Health and Development in the Centre for Global Mental Health, Institute of Psychiatry, Psychology and Neuroscience, King’s College London, and Professor in the Alan J. Flisher Centre for Public Mental Health, Department of Psychiatry and Mental Health, University of Cape Town. He is the Principal Investigator of the AFrica Focus on Intervention Research for Mental health (AFFIRM) U19 NIMH Collaborative Hub, and CEO of the PRogramme for Improving Mental health carE (PRIME), a DFID funded research consortium focusing on the integration of mental health into primary care in five low and middle-income countries. Liz Gwyther has postgraduate qualifications in Family Practice and Palliative Medicine. She is CEO of Hospice Palliative Care Association of South Africa; chair of the Worldwide Hospice Palliative Care Alliance; and a director of the following organisations - African Palliative Care Association, ehospice and Pain Society of South Africa. She is a member of the South African national steering committee for palliative care..
She is a senior lecturer at the University of Cape Town where she heads the Palliative Care team within the School of Public Health and Family Medicine. She is the convener for the postgraduate programmes in Palliative Medicine and is responsible for research supervision and support for publications of the postgraduate students. She is a member of the editorial board of the Journal of Pain & Symptom Management published in the USA. Her special interests are women’s health and palliative care and human rights in health care. In 2007, she was awarded the SA Medical Association’s Gender Award for Human Rights in Health and the SA Institute of Health Managers Leadership in Health Systems award. Lara Fairall - MBChB, PhD is a clinician scientist and founding head of the Knowledge Translation Unit (KTU) at the University of Cape Town Lung Institute. She has led the expansion of their programmes from respiratory disease to comprehensive primary care and played a central role in the design, conduct and reporting of nine large fieldwork implementation trials. This programme, currently known as PACK (Practical Approach to Care Kit) has been formally adopted throughout South Africa (where it is known as Adult Primary Care), and transformed the way in which in-service training is conducted moving to onsite, interactive training with ongoing support. Lara also initiated a partnership with the British Medical Journal to ensure the KTU’s programmes are in line with latest evidence and to facilitate a mentorship programme whereby they are made available to other LMICs including Brazil, Nigeria, Ethiopia and China. Inge Petersen, PhD is Director of the Centre for Rural Health (CRH) in the College of Health Sciences at the University of KwaZulu-Natal, Durban, South Africa. Having extensive experience in integrated mental health care in low- and middle-income countries (LMICs), she is currently one of three multiple Principal Investigators of the COBALT (Comorbid Affective Disorders, AIDS/HIV, and Long Term Health) trial and principal investigator for the Programme for Improving Mental Health Care in South Africa (PRIME-SA). These studies are concerned with the development and evaluation of integrated mental health care for common mental disorders comorbid with multiple chronic conditions. This body of work is now being scaled up in South Africa with the support of funding from the Centers for Disease Control and Prevention (CDC) through the Mental Health Integration (MhINT) project; her role being that of the South African PI. She has also recently received a National Institute of Health (NIH) U19 HUB funding award to evaluate this scale up and provide capacity building in integrated mental health care to Mozambique and Tanzania. Ruwayda Petrus (PhD) is a Senior Lecturer in the School of Applied Human Sciences in the field of Industrial Psychology. Prior to joining the SAHS, Dr Petrus was involved in various research projects at the Centre for Rural Health which focused on Health System Strengthening Interventions for Low and Middle Income Countries. She was one of the primary people responsible for developing a Clinical Communications Skills Training Program for Professional Nurses working in Primary Health Care Facilities in the North West. She led the team tasked with piloting the training program (initially called Change Management for Nurse Led Chronic Care) in 3 facilities in Dr Kenneth Kaunda as part of the Programme for Improving Mental Health Care (PRIME) under the leadership of Professor Inge Petersen. Her PhD focused on exploring the psychological resources and stressors of nurses working in a National health Insurance pilot site in the North West. Her research interests include health systems strengthening interventions, clinical communication skills for person centred care and workforce readiness for change interventions. She also has a keen interest in developing and testing interventions which aim to empower and equip staff to deal with issues like stress and burnout in the workplace. transdisciplinary collaborations across the diverse research and policy environments associated with global health, realising the value of social scientific insights in the design and deployment of novel disease control interventions. With support from a wide range of funders, including the Wellcome Trust, the UK Economic and Social Research Council, the Leverhulme Trust, the German Research Foundation, and the Bill and Melinda Gates Foundation, she contributed to the development of clinical research protocols during the recent Ebola outbreak, participated in the design of novel spatial insecticides for vector-borne diseases, identified key barriers to data sharing in low- and middle-income countries and helped to illuminate the social-ecologies of Lassa and other viral hemorrhagic fevers. Kumar Jacob is the CEO of Mindwave Ventures; a company developing digital apps and services to improve healthcare. Working alongside clinicians and academics, the team is currently designing technological solutions in a number of key areas. Amongst other roles, Kumar is on the Board of Directors at the University of Greenwich and was previously a Non Executive Director of South London and Maudsley NHS Foundation Trust, as well as Vice Chair of Christian Aid. Mindwave is a spin out from the NIHR Maudsley Biomedical Research Centre. Ricardo Araya is Professor of Global Mental Health at King’s College London. His research interests include the aetiology of common mental disorders, inequalities and their link to the mental health of populations with special emphasis on international comparisons, and effective treatments for common mental disorders, such as simple and brief interventions using non-medical workers and strong community participation. I am a medically trained statistician and epidemiologist. I have been working in a range of research areas across public health, clinical and biomedical sciences. Over the past 10 years, my research area focuses on palliative and end of life care, policy and rehabilitation, including routine data-based care improvement, evaluation of complex intervention and methodological research on enhancing study designs using routine data. Richard Harding is Herbert Dunhill Professor of Palliative care & Rehabilitation, Director of the Centre for Global Health Palliative Care, and Visiting Professor of Palliative Care in the School of Public Health & Family Medicine, University of Cape Town. His work is focused on integrating person-centred care into services for people with incurable life-limiting conditions, quality of life, and expanded access in neglected populations. His current programme of research is in sub-Saharan Africa, the Middle East and Asia. 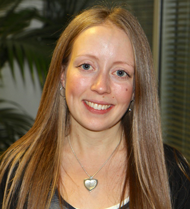 Alexandra Pollitt is a Research Fellow at the Policy Institute at King’s College London. For the past eight years she has worked in policy research and analysis across a wide range of policy areas, but particularly in research evaluation, health, international development and social policy evaluation. She also has experience in the international development sector, having worked in impact evaluation and research for an NGO focusing on education and women's empowerment in sub-Saharan Africa. 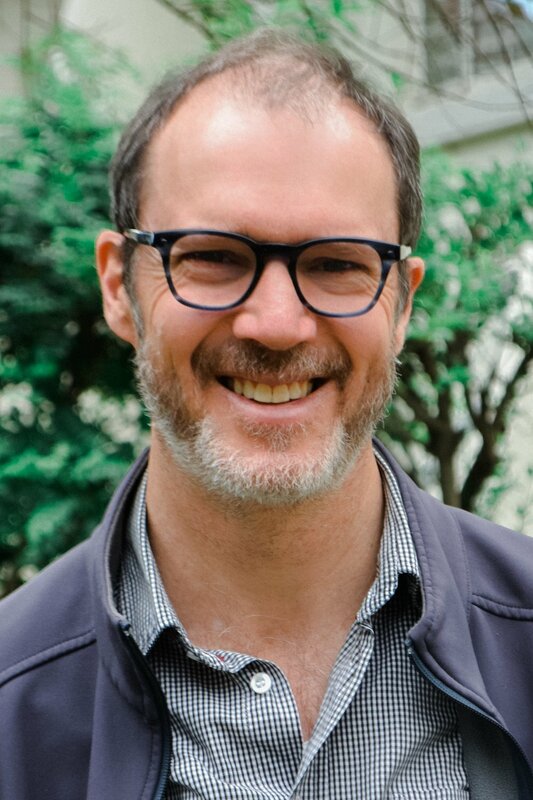 Alex has expertise in a wide variety of qualitative and quantitative methods, and teaches impact assessment, communications and engagement, and project management internationally as part of the steering committee for the International School on Research Impact Assessment. Andy Leather is the Founding Director of the King’s Centre for Global Health & Health Partnerships within the School of Population Health & Environmental Sciences, Faculty of Life Sciences & Medicine. He Senior Lecturer in Global Health and Surgery at King’s College London. Andy was appointed as a Consultant Surgeon at King’s College Hospital NHS Foundation Trust in 1996. During 20 years at KCH he held various posts including Clinical Director for Surgery. In 2000, he started to develop a health partnership between King’s and a maternity hospital in post-conflict Somaliland. This work subsequently developed into a broad health system strengthening programme. Andy now also oversees work in DRC and in Sierra Leone. In 2013, he was appointed as Co-Chair of the Lancet Commission in Global Surgery. The Commission reported in April 2015 with a set of key messages relating to surgery and anaesthesia care across all low and middle income countries; a set of recommendations for all surgical stakeholders; metrics which will be used to track surgical system development over the next 1-2 decades; and a template for a national plan. Paul Mccrone is Professor of Health Economics and Director of KHE. He has worked at the Institute of Psychiatry, Psychology and Neuroscience for 25 years after having previously worked at the University of Kent. Paul studied Political Economy at Thames Polytechnic and Economics at Birkbeck College. He has worked on a large number of economic studies in health and social care. Currently he is involved in evaluations in psychiatry, neurology and palliative care. He also teaches health economics to Masters level students, supervises PhD students, and has published widely in peer-reviewed journals. Recently Paul became co-Director of the Mental Health Policy Research Unit funded by NIHR. Andrew Shennan OBE is Professor of Obstetrics at King’s College London, based at St. Thomas’ Hospital. He leads clinical research at the Women’s Health Academic Centre, and is Clinical Director South London Clinical Research Network. He specialises in clinical trials in antenatal and intrapartum care. His research interests include interventions to predict and prevent preterm birth, pre-eclampsia, obstetric anaesthesia, global health and the use of blood pressure monitoring. He has published over 400 peer reviewed research reports (H index over 40), and currently is applicant/co-applicant on 19 grants. He has an active clinical role in managing high risk obstetric patients, including a regular hands-on labour ward commitment, and a specialist preterm birth surveillance clinic (award winning 2013/2015/2016 innovations prize) that accepts national and international referrals. He is the inventor of the CRADLE VSA and recipient of the international 2017 Newton Prize (£200,000) for excellence in research and innovation in support of economic development and social welfare in low and middle-income countries. Nick Sevdalis is a psychologist and a Professor of Implementation Science and Patient Safety at King’s College London. He is Director of the Centre for Implementation Science, Associate Director of the NIHR CLAHRC South London and joint Academic Director of the King’s Health Partners Acute Care (Mental Health) Clinical Academic Group. Nick also serves as chief editor of BMJ Simulation & Technology Enhanced Learning and an associate editor of Implementation Science; and as an advisor to the Royal College of Anaesthetists ‘Safe Anaesthesia Liaison Group’ (UK). Prior to this appointment, Nick was a Reader in patient safety and Deputy Chair of the Imperial Patient Safety Translational Research Centre of Imperial College London. He also served as a board member of the Association for Surgical Education (USA). Nick’s research focuses on developing, evaluating and implementing team-based interventions for the improvement of the safety and quality of in-hospital care. Interventions developed by Nick and his research team include team- and safety-skills training; team-enhancement interventions (e.g., ‘huddles’); and safety checklists. Nick is interested in understanding the barriers, drivers and context of uptake of innovative patient safety and quality improvement interventions and programmes. Nick’s research has been disseminated in over 260 academic publications and over 100 invited lectures to date. Graham Thornicroft is Professor of Community Psychiatry at the Institute of Psychiatry, Psychology and Neuroscience, King’s College London (KCL) and is a member of the Health Service and Population Research Department at KCL, and the Centre for Global Mental Health, a joint centre between King’s Health Partners and the London School of Hygiene and Tropical Medicine. He also works as a Consultant Psychiatrist at South London & Maudsley NHS Foundation Trust in a local community mental health early intervention team in Lambeth. He is a Fellow of the Academy of Medical Sciences and is a National Institute of Health Research Senior Investigator. 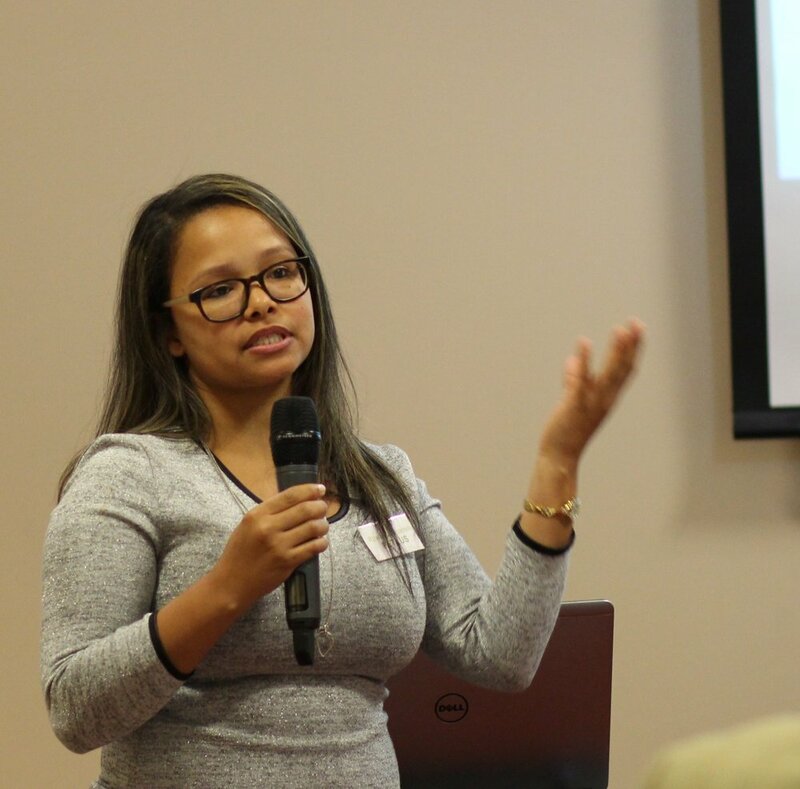 Dr Melanie Abas - I work on determinants of and interventions for depression and anxiety, both in the UK and through research in low-income and cross-cultural settings, in women, and in migrant groups. I have adapted evidence-based interventions for depression and anxiety and for adherence to medical treatments to be suitable for low-income groups. I am currently evaluating scale-up of what will be the largest primary care program in a low-income country globally for depression and anxiety. Grand Challenges Canada, the US National Institutes of Health and, most recently (2016), the Wellcome Trust through the Joint Global Health Trials program fund my research on interventions. I am working on interventions at the interface between depression and physical illness especially in HIV in Zimbabwe and South Africa. This includes interventions that translate evidence from behavioural psychology as applied to improving adherence to antiretroviral therapy in people with mood disorders and HIV. I am also the lead for King's of a Wellcome Trust program to build research capacity among African mental health scientists. Mauricio Avendano is a Professor of Public Policy and Global Health and Director of the Institute of Gerontology at the Department of Global Health and Social Medicine. He is also Adjunct Associate Professor at Harvard University. Professor Avendano is interested in the intended and unintended consequences of social policies and programmes for both physical and mental health. His research uses quasi-experimental methods and data from randomised controlled trials to examine the health consequences of social programmes such as maternity leave benefits, unemployment benefit policy, conditional cash transfers, pension system reform, non-contributory pensions in Latin America, and urban and transportation policies. He is co-PI of Lifepath, a major EU consortium to understand socioeconomic inequalities in healthy ageing. He is also co-coordinator of MINDMAP, a EU consortium to examine the impact of urban policies on mental health. In addition, he leads an ESRC project within the Joint Initiative Programme that examines how pension reform influences the health and wellbeing of older workers. He has been awarded several grants including a European Research Council grant (ERC, 2011-2016), as well as several grants from the European Commission, the Dutch Scientific Council, the UK Economic and Social Research Council, the National Institute on Ageing, the National Institute of Health Research (NIHR), and the McArthur Foundation. He has published more than 90 papers in peer-reviewed international journals. My objective is to improve health at individual and global levels, an objective I currently pursue at KCL and as visiting faculty at Wits University in South Africa. My main academic interest is in building systems for better health care, particularly in areas of diseases amenable to surgery or in cardiovascular diseases. I am interested in the clinical and socio-economic consequences of treatment or failing to treat these conditions in Lower and Middle Income countries, especially sub-Saharan Africa. I am also interested in improving data collection for health system planning and ensuring access to surgical care for people living in LMICs. I have been an author on The Lancet Commission on Global Surgery, The Lancet Commission on Women and Health, and led the recently published The Lancet Diabetes & Endocrinology Commission on Diabetes in sub-Saharan Africa. I previously practiced as a medical cardiologist and worked as Editor in Chief of The Lancet Diabetes & Endocrinology. In my spare time I ride horses and play the violin in a string quartet and piano trio. Jenny Gallagher holds the Newland-Pedley Chair in Oral Health Services Research at King’s College London [KCL]. Within the Dental Institute, Professor Gallagher is Dean for International Affairs and Head of Patient and Population Health, one of its four research divisions. She is an honorary consultant in Dental Public Health with King’s Health Partners and Public Health England contributing to local and national policies, including workforce policies at Health Education England. In 2015 she received an MBE for services to oral health. Professor Gallagher’s personal research interests at King’s include a particular focus on shaping the healthcare workforce to meet the needs of the population with a strong emphasis supporting vulnerable groups. Her research team are currently researching the implications for workforce capacity building and examining workforce requirements in Sierra Leone, having Malaysia, China and Oman, as well as nationally. They have just undertaken an oral health survey across the four regions of Sierra Leone as part of research informed capacity building. Jenny is a leading dental member of the new Global Health Network at King’s College London and a CI on the ASSET programme. Internationally, Jenny is the Council Member and incoming secretary of the Global Oral health Inequalities Network of the International Association for Dental Research [IADR]. Irene Higginson has a dual training in palliative medicine and public health medicine and has worked in wide ranging medical and university positions, including radiotherapy and oncology, in-patient and home hospice care, the Department of Health (England) and various universities. She is currently Director of the Cicely Saunders Institute at King’s College London, the world’s first purpose-built Institute of palliative care. Professor Higginson is an NIHR Senior Investigator and has extensive experience in leading and delivering national and international multidisciplinary collaboration in palliative care. Professor Higginson’s has developed and validated two outcome measure tools - the Support Team Assessment Schedule (STAS) and the Palliative Care Outcome Scale (POS) used widely in the UK and many other countries. Her department has been a WHO Collaborating Centre for Palliative Care, policy and rehabilitation since 2008 and through global partnerships and collaborations with Universities, NGOs and clinical services around the world, she is involved in several projects aiming to transform the evidence base and deliver culturally appropriate palliative care. Professor Higginson work has been particularly impactful in East and Southern Africa; including, for example, her involvement in the world’s first randomised controlled trial of palliative care intervention in a low or middle-income country in collaboration with the University of Nairobi and Bomu Hospital, and continued involvement in the first clinical trial of palliative care for patients with drug resistant TB in partnership with Hospice Africa Uganda. Saba Hinrichs-Krapels is a Senior Research Fellow at the Policy Institute and co-Deputy Director of the King’s Global Health Institute. She is an interdisciplinary applied researcher focusing on improving policy and practice that affect both the public’s health and the delivery of care. Her work has been funded by the National Institute for Health Research (NIHR), NHS England, the Health Foundation, the UK Collaborative on Development Research and the Association of Medical Research Charities. LOUISE HOWARD studied medicine at University College London and trained in general medicine in Bloomsbury obtaining the Membership of the Royal College of Physicians in 1991. After completing her general psychiatric training and obtaining the MRCPsych, she obtained a Wellcome Trust Health Services Research Training Fellowship in perinatal psychiatry, and more recently was awarded an NIHR (National Institute for Health Research) Research Professorship. She was appointed Professor in Women’s Mental Health at the Institute of Psychiatry, King’s College London, in 2010. Her research programmes focus on women’s mental health, and the impact of violence on mental health. She has won a number of prizes for her research including the International Marce Society’s Marce Medal, and was the editor for a commissioned series for the Lancet on perinatal mental health in 2014. She chaired the National Institute for Clinical Excellence Guideline Development Group (update) on Antenatal and Postnatal Mental Health (CG192; 2014), and was a member of the NICE/SCIE and WHO guidance development groups on preventing and reducing domestic violence, and is a member of the new Women’s Mental Health Task Force at the Department of Health, London. Her current research includes an NIHR Programme Grant for Applied Research on the effectiveness of perinatal mental health services, MRC grants using informatics to examine domestic violence experienced by psychiatric patients, and she supervises a number of clinical training fellowships which include studies on self harm in the perinatal period, gestational diabetes and perinatal mental health, and intimate partner violence in the perinatal period in Ethiopia. Heidi Lempp is a Senior Lecturer in Medical Sociology in the School of Immunology & Microbial Sciences in the Faculty of Life Sciences and Medicine, King’s College London. My research interests are Sociology applied to muscular-skeletal health and its psycho-social impact, physical and mental interface in long-term muscular-skeletal conditions, patient involvement and public engagement in research, quality of life, patient generated outcome measures; non-medicinal interventions, Sociology of undergraduate and postgraduate medical education. 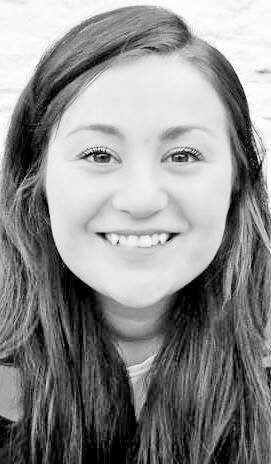 Alex Little is a web developer specialising in educational technology for low resource environments. Alex is a co-founder and the lead developer for Digital Campus's OppiaMobile learning platform (https://digital-campus.org/oppiamobile/overview/) and also lead developer for mPowering's ORB health worker training content repository (http://health-orb.org). Previously, he lived in Ethiopia for 2 years working with Voluntary Services Overseas (VSO) establishing an elearning programme for Mekelle University. Alex spent over 7 years as a senior developer and researcher for the Open University (UK). For the last few years his main focus has been on mobile learning and training for frontline health workers. Halszka Pelkowska is an ASSET Project Administrator. As an administrator Halszka is responsible for providing comprehensive support for the coordination and administration of the project, under the guidance of the NIHR Unit Coordinatorand with input from the King’s Global Health Institute (KGHI) Manager. Her role includes budget management, projection of expenditure, financial reporting, as well as other tasks to facilitate the smooth running of project. Halszka joined King's in November 2017. She is also an administrator for the Life2Years project lead by Professor Martin Prince. Before arriving at King's Halszka was a clinical administrator for Child and Adolescent Mental Health Service in Camden/London. She also worked as an administrator of an Early Intervention team in Bishop's Stortford (Hertfordshire). Nadine Seward is a Lecturer in Global Implementation Science, based within the Centre for Implementation Science and Kings College London (KCL). She holds a BSC (Hons Life Science) from Queen’s University in Canada, an MSC (Epidemiology) from LSHTM and a PhD (Epidemiology) from UCL. Prior to starting at KCL in August 2018, she worked on maternal and newborn community trials that aimed to improve survival. Her interests were focused on examining the “how and why” behind the effectiveness of different complex interventions using causal mediation analysis as well as through the use of meta-analysis with individual patient data. She is currently working with the different ASSET partners and across the different care platforms to use implementation science methodology to evaluate practical ways to improve the quality and coverage of care. She is also interested in adapting existing implementation science methodologies to health system strengthening programmes in low- and- middle- income countries. In particular she is interested in the roll context plays in the development and evaluation of health system strengthening programmes.